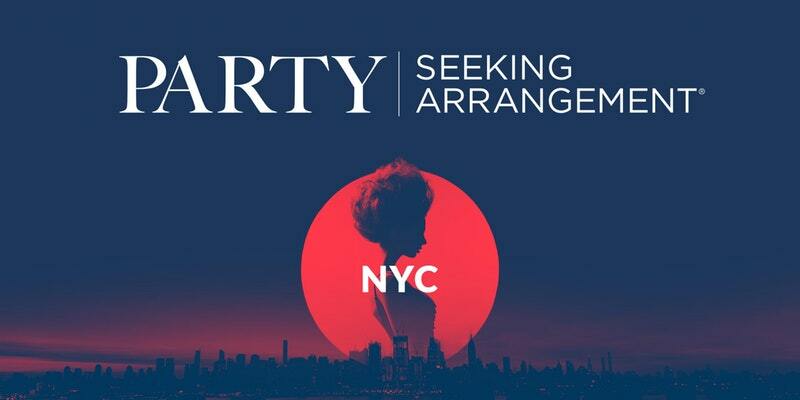 World-renowned Sugar Daddy dating site, SeekingArrangement.com, is returning to NYC for another masquerade! This luxury party is exclusive to Sugar Babies and Sugar Daddies and completely private. Get up close with Sugar Babies or meet your next Sugar Daddy in person at this members only soiree. VIP packages are available for the Daddies who want to show off and stand out. This is a 21+ event. F.A.Q. WHAT CAN I EXPECT? This is a masquerade party with go-go dancers, a chocolate fountain, and a cash bar with passed appetizers from 9:30pm-11:30pm. You can expect Sugar Babies dressed for Sugar success, and masked Sugar Daddies ready to mingle. WHAT IS THE WAITLIST? Due to limited availability, Presale Sugar Baby tickets are currently waitlist only. Sign up for the waitlist with your SeekingArrangement email and you will be notified when tickets become available. WHAT IS APPROPRIATE ATTIRE? Please wear upscale attire only. Ladies, formal or cocktail attire with heels. Gentlemen, formal or cocktail attire. No jeans, sneakers, or t-shirts. CAN I PURCHASE A TICKET AT THE DOOR? No. There will be no tickets sold at the door and no cash will be accepted. Please purchase your ticket through this page. DO I NEED TO PRINT MY TICKET? No. Check in will be electronic, so you do not need to print a paper ticket. All you will need is the name of the person to whom the ticket is registered. You will need a photo ID for age verification, but the name does not need to match your ticket. CAN I HAVE A REFUND? No, we are not offering refunds at this time. Tickets are transferable. Please email Brook@SeekingArrangement.com to facilitate your ticket transfer up to 24 hours before the event. WHAT IS THE DIFFERENCE BETWEEN PRESALE AND GENERAL ADMISSION? Both tickets provide the same access. For those who purchase early (Presale), there is a discounted rate. DO I HAVE TO BRING A MASK? You should bring a mask; it’s a masquerade. However, masks are not mandatory. A limited number of complimentary masks will be provided at the door. For privacy, we suggest bringing a mask. WHEN ARE THE OTHER EVENTS? You can find out about other SeekingArrangement and Let’s Talk Sugar events here. WILL THERE BE PICTURES OR CAMERAS AT THE EVENT? The only cameras on site will be with the SeekingArrangement team. You will not appear in any pictures unless you want to. We recommend bringing a mask if this concerns you. Questions? Call +1 (702) 493-4910 or email Events@SeekingArrangement.com.